Our next destination was the famous and the most worshipped amaranth in Jammu and Kashmir. Today, it is a very significant hub of pilgrimage and besides the rough and tiresome route to the holy cave; devotees in a huge number come here to pay homage and worship in front of the Lord Shiva residing in one of his renowned Himalayan abodes. No doubt the way to the cave is difficult to negotiate; it is extremely exciting and thrilling as well. 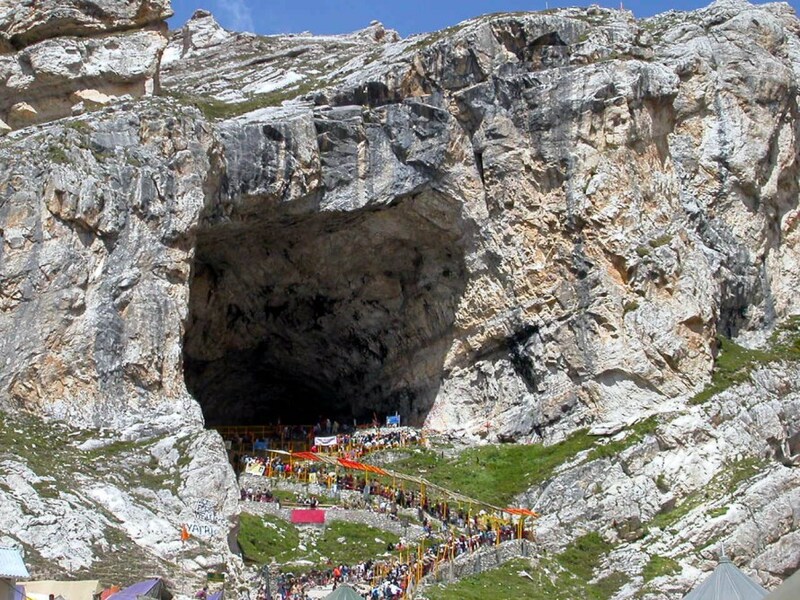 Located in a narrow gap at the edge of Lidder valley, Amarnath stands at 3,888 m height. We enjoyed tracking our way to the destination. Along with us were the numerous other pilgrims who were visiting the place. There were people of every age, from children to old. All were fighting against the odds to pay homage to the almighty. In between, there were temporary stoppages allowing people to rest and regain their energy for the further journey. After much tracking, we reached a place called Barari at 4 PM. We took half an hour rest at the place and started all over again. The glaciers in the route were causing jams.From Barari, two ways are there to arrive at the cave. We headed towards the new and short cut route. We reached the devotee camps at around 7pm and were only 1 km away from the holy cave, but, as the darshans of the cave was closed at 7pm due to aarti, we booked one tent for the night and relaxed. We covered ourselves with the quilts after filling ourselves with some eateries and slept. Atmosphere was very cold and I was shivering under that single quilt, so two of us joined our quilts. 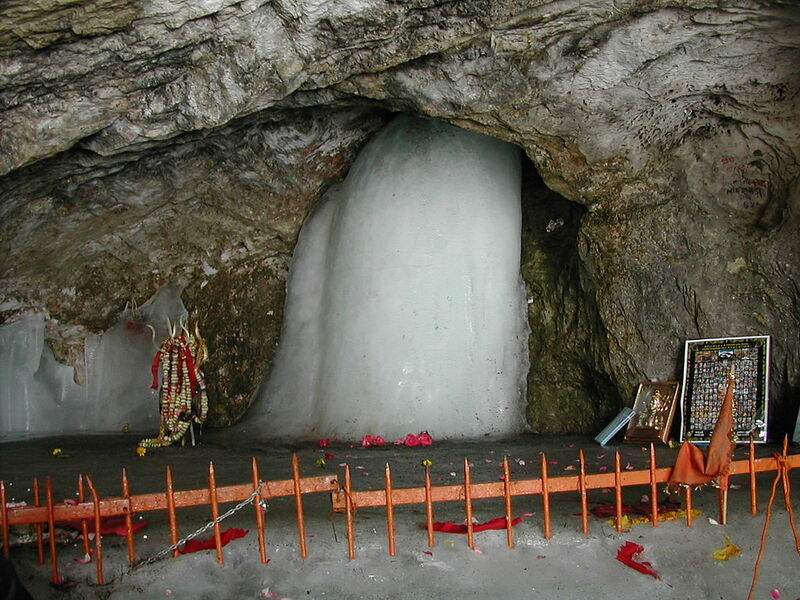 Next day, we reached the holy cave.The hike to Amarnath has the spiritual groups to this unbelievable shrine, where the representation of Lord Shiva outlined in the form of a Lingam, is created naturally of ice – stalagmite, and also wanes with the moon. Besides the image of Lord Shiva are two more ice – lingams, which are of Goddess Parvati and their son, Lord Ganesha. This entry was posted in Attraction, Festival, Tourist Place, Travel and tagged amarnath jammu & kashmir. Bookmark the permalink.